The University of Notre Dame is America’s leading Catholic research university that is fully committed to student learning at the undergraduate level. 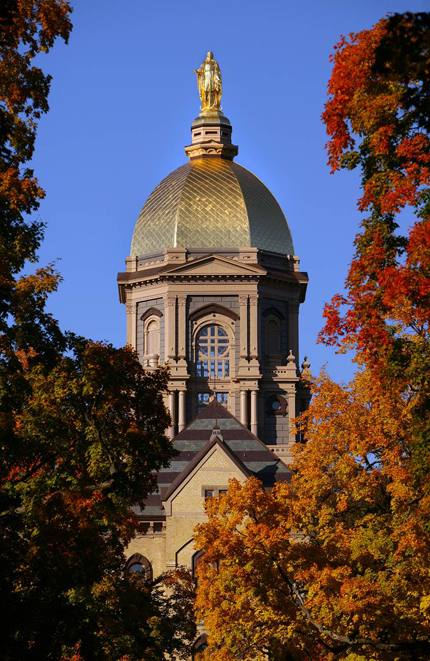 Founded in 1842 by a priest of the Congregation of the Holy Cross, Notre Dame is an independent, national Catholic research university located adjacent to the city of South Bend, Indiana. Admission to the University is highly competitive. Notre Dame is ranked 18th among national universities by U.S. News & World Report. The University is also rated among the nation’s top 25 institutions of higher learning in surveys conducted by Princeton Review, Time, Kiplinger’s, Kaplan/Newsweek and others. The University of Notre Dame provides a lifetime experience. The most creative and intellectually gifted students from around the world enjoy a college rich in tradition, academic challenge, opportunities for personal growth, and outreach to people of all faiths and backgrounds. Faculty grow students’ intellectual curiosity through engagement in research, study, and debate. 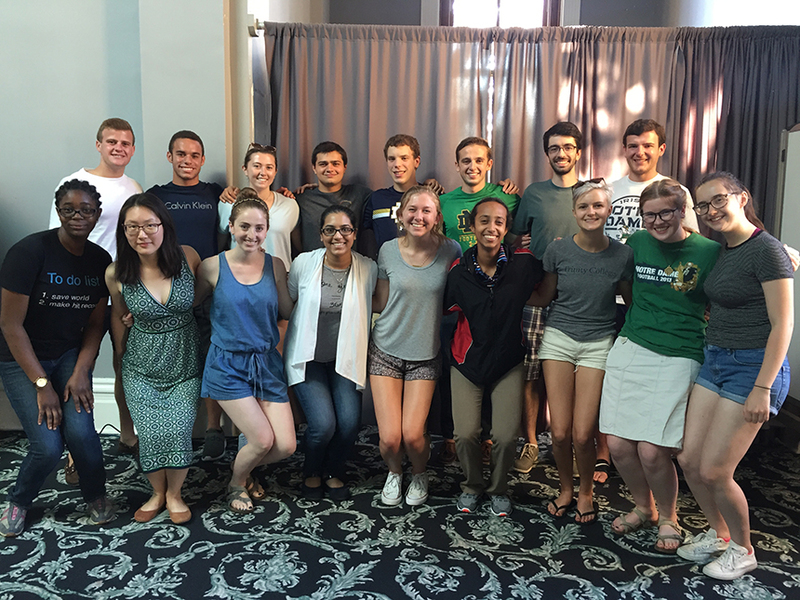 Notre Dame students immerse themselves in a college campus that is unlike any other in the nation. Storied fall football weekends, alumni with international recognition, and a Catholic heritage make the University unique in the American landscape. Alumni, friends, and fans all embrace the University’s mystique. 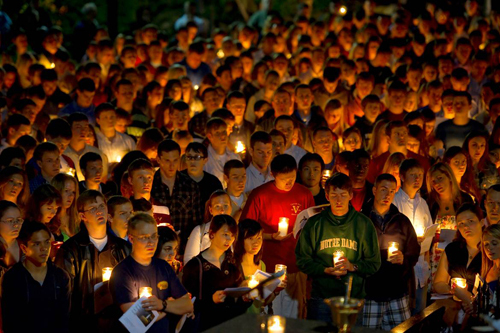 As a result, students enjoy a network of passionate supporters who are invested in continuing the success of future generations of Notre Dame graduates. The Stamps Notre Dame Scholarship Program seeks to attract exceptional students who exemplify leadership, perseverance, scholarship, service, and innovation. Students do not apply for the Stamps Notre Dame Scholarship Program. Rather, candidates will be identified from the top 5% of Notre Dame’s admitted pool. These candidates will then participate in a spring Merit Scholar Selection Visit interview weekend at Notre Dame and also interview with the Stamps Family Charitable Foundation. Recipients will be notified of their award in early April. Annually, ten admitted students will be named Stamps Notre Dame Scholars and receive a full tuition and fees merit scholarship for up to four years of undergraduate study. Students will also have access to an enrichment fund of $3,000 yearly (for a total of $12,000). Additionally, Stamps Notre Dame Scholars will be provided a faculty mentor in their chosen field of study. To read more about the Stamps Scholarships at Notre Dame, click here.